What do you do when your local authority cuts your grant by 65% and the Arts Council does absolutely nothing to help? And what if this comes just as you prepare to throw open the doors at the end of a radical refurbishment of the oldest and arguably most architecturally significant theatre in the country? I’ve no idea what the correct answer is, but our Bristolian response was a furious re-engagement with a question being asked in green rooms and boardrooms all over the country: what is a 21st-century theatre for? Anyone running a regional playhouse will tell you that the age of meaningful state subsidy is over. Every single show requires its own fundraising drive or a co-producing deal. The pressure to commercialise by depending on big stars and marketable titles is overwhelmingly strong. Should we just accept that pressure? Or should we find something else that we can believe in, aspire to and fundraise against? Bristol Old Vic’s 2018 season already had a theme. From The Cherry Orchard and A Monster Calls to A Christmas Carol, each production explores the idea of profound human change: changes of heart; changes of mind; changes of attitude; changes of society; even changes of shape. In September, we open our new front doors to the city, revealing the scarred face of the theatre, which has lain hidden behind a row of houses in King Street for more than 250 years. So it seemed the natural time to review and renew our contract with the city too. Part of our inspiration in answering what a theatre is for came from Bristol’s unique character – it’s celebrated internationally as a city of creativity attracting talented artists to its mysterious fountains of inspiration. Bristol’s unique creative magnetism is partly why The Sunday Times declared it the most attractive place to live in the UK and The New York Times listed it among the world’s top 50 tourist destinations. Creative folk herd here, leaving traces of quixotic genius in the Watershed, Spike Island, the Tobacco Factory and Bristol Old Vic. But at the same time, a report by the Runnymede Trust in January 2017 made explicit what many in the city already knew: Bristol has the worst record in racial inequality of any British city outside London. Inspired by the zeal of our associate Roger Griffith of Ujima Radio and supported by the Bristol Post and others, we vowed that this too must change. In a heartbeat, the theme of our year switched from descriptive to active. We had already commissioned Giles Terera, who won an Olivier for playing Aaron Burr in Hamilton, to write a play about the legacy of the transatlantic slave trade, which generated so much wealth for Britain and Bristol in the century when our theatre was built. Much of the city, including the theatre, was partly financed by its profits. But Bristol still lives in a strange state of denial of this aspect of its history. Well-off folk are fearful of being made to feel guilty for crimes committed generations ago, while communities crushed by austerity are resentful that their hardships are once again being ignored. Could the city’s strange amnesia have something to do with its modern flaws? Perhaps Giles’ play can help to disturb some of the thinking that has stuck. The conversation was widely attended by community leaders, city institutions and arts organisations. It kicked off with an inspirational video in which students at the school talked about the inequalities they face in the city and the dreams they have for the future. There was a palpable feeling that the city itself might be ready for change. And as we prepare for the next of these talks, held in the Merchants’ Academy in the deprived and largely white working class area of Withywood, Bristol Old Vic’s new contract with the city is starting to become a little clearer. Unquestionably, we have to defend our role as a welcoming place of entertainment for every community in the city. Knocking down the walls that have concealed the theatre for 250 years will help with that. But we also need to fight to maintain the pioneering outreach work that takes genuine creative opportunities into schools and the most deprived communities in every corner of Bristol, which is trembling under the guillotine of damaging local authority cuts. Alongside the ever-present ambition to entertain and inspire our audiences, perhaps we are entering an age when a theatre might be a place where a city can reflect on the questions that challenge it most directly. Why not accept the precedent of theatres in Ancient Greece, Shakespeare’s London and the Spanish Golden Age? Their systems of subsidy were after all no less byzantine and whimsical than ours. In this spirit, last week we produced Frederick Douglass: An abolitionist returns. 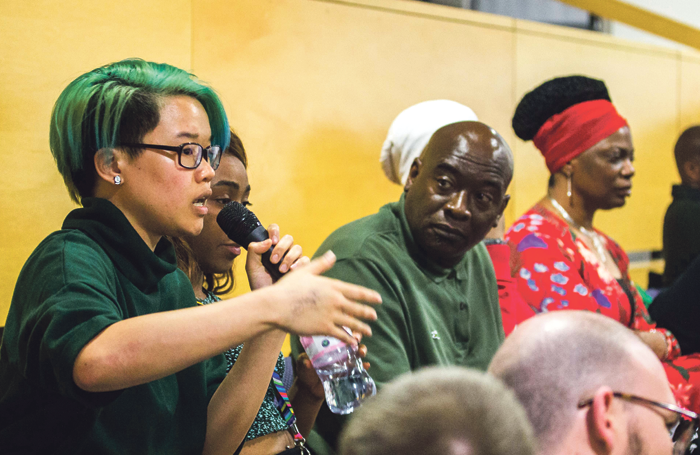 It was a city-wide public theatre event in which poets, playwrights, those involved with the church and our own mayor challenged our city to think again about inequality using the words of Douglass’ lectures when he visited Bristol in 1846. If the city seems ready to think afresh about some of these topics, then we, as its theatre, are committed to help. And in doing so, we are discovering surprising ways in which challenging the city’s amnesia might directly inspire change for the city today. So if we can provide a forum in which we’re brave enough to judge our 18th-century forbears for the wrongs they knowingly committed, it becomes possible, all of a sudden, to judge ourselves by the very same standards. What, after all, are the things about our world, our country and our city that we know to be manifestly wrong – and about which, for reasons of social, political and economic convenience, we do nothing? 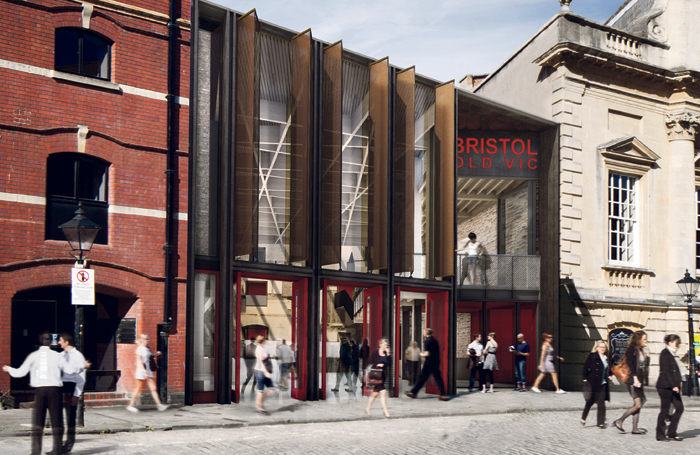 And in that way, the theatre might be able to play a small part in the extraordinary evolution of one of Britain’s most creative and yet most divided cities – a city that at last seems hungry for real, lasting social and cultural change. Editor's View: Can London sustain more theatres?